Benjamin Franklin Quotationsfrom his own letters, speeches and writings. Franklin is one of the most beloved patriotic heros of the Revolutionary War. These Benjamin Franklin Quotations will help you see into the mind of this American hero. These quotes are from the years 1784 to 1789. They are from the period immediately after the end of the Revolutionary War through the the time of the creation of the US Constitution. Several of them come from his addresses to the Constitutional Convention. Many of them also come from his partial autobiography, which was published in 1789. Our inspirational quotes are put in chronological order. You can find more Ben Franklin quotes from before and after this time period by clicking on the links at the bottom of the page. 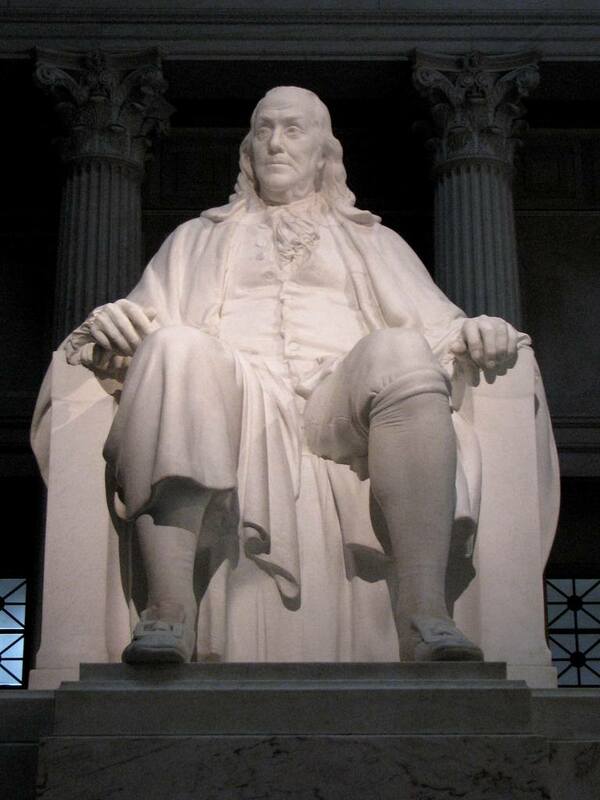 Learn more about Ben Franklin on our Facts about Benjamin Franklin page. We have lots more Benjamin Franklin Quotations for you!